The eighth annual Hike for Hope, a memorial hike and fundraiser for Hope Hospice, raised more than $90,000 for Hope Hospice. Held at Del Valle Regional Park in Livermore on May 19, the hike is one of Hope Hospice’s major fundraising events of the year. This year, 520 hikers registered to benefit Hope Hospice, remember loved ones and enjoy the beautiful outdoors. 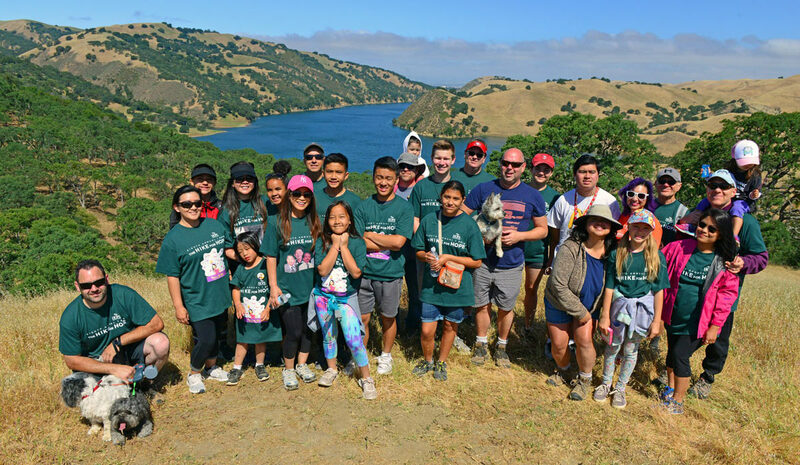 The 2018 hike was dedicated to the memory of Dr. Peter Wong who so compassionately cared for Hope Hospice’s patients and their families and led the hospice’s team for more than 32 years until he retired in 2014. He was an inspiration to the staff, patients and colleagues. All of the hike’s net proceeds are used to care for more than 2,600 area residents Hope Hospice serves each year. Hope Hospice recognizes the Hike for Hope leading corporate sponsors and the top team and individual fundraisers for their noteworthy support. Other teams and individuals, as well as local corporate and in-kind sponsorships, can be viewed at TheHikeforHope.com. For nearly 40 years, Hope Hospice has provided personalized end-of-life care to families in the Tri-Valley and surrounding communities. Included in its scope of care is hospice and home health care, bereavement and community education. As a community-led, non-profit organization, Hope Hospice offers services regardless of insurance, income status or nation of origin or religion. Staff is available 24/7. Hope Hospice is accredited by the Joint Commission, licensed by the State of California Department of Health Services and Medicare/Medi-Cal certified. Learn more at HopeHospice.com or contact us at (925) 829-8770.